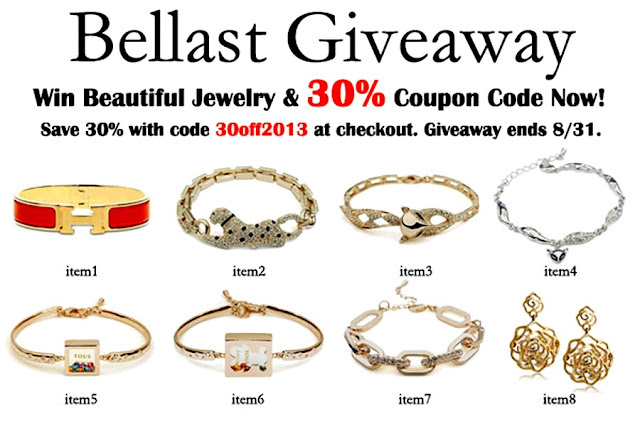 We’re starting the week with a new giveaway sponsored by Bellast. The prize is one of the pieces of jewelry pictured in the banner (the choice is yours). 2. 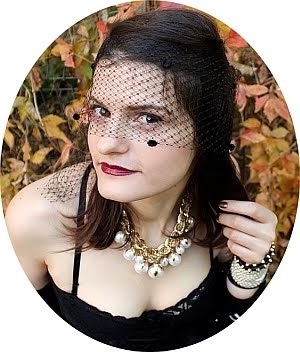 Blog or tweet about it on your blog or Twitter account (mention this in a comment and leave the link so that I can count an extra entry for you). 3. Follow us on Tumblr (mention this (your Tumblr page) in a comment so that I can count an extra entry for you). The giveaway ends August 31st. The winner will be sorted out randomly. This is an international giveaway – anybody can join in! 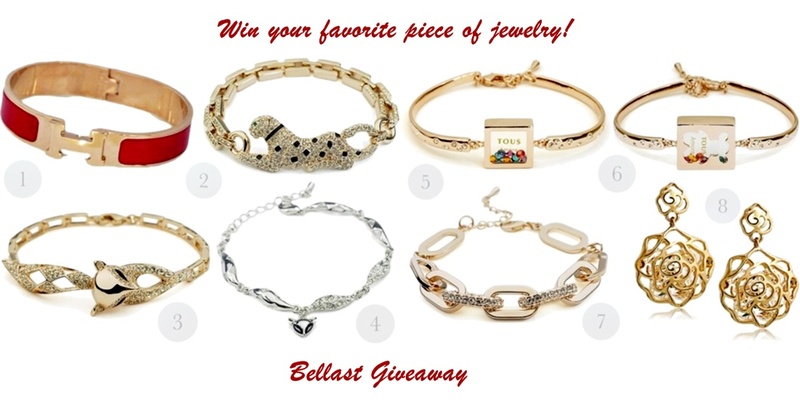 Make sure and enter my new giveaway for a chance to win your favorite piece of jewelry! I meant maraaavram@gmail.com, I missed an "a"
I looove all of your giveaways and your blog so much! My favorite is bracalet number 2!!! 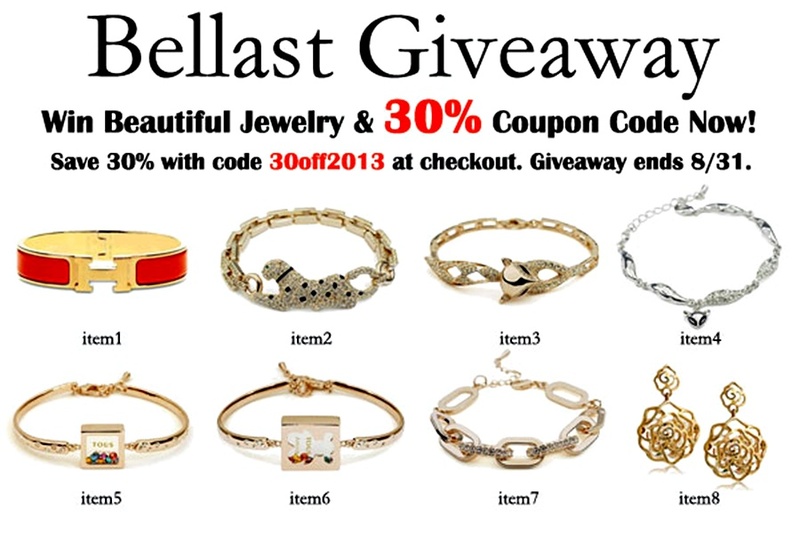 I follow Bellast on FB, Twitter & Pinterest. I would like to win item 2. Following you & Bellast on facebook. I did all the extra entries.